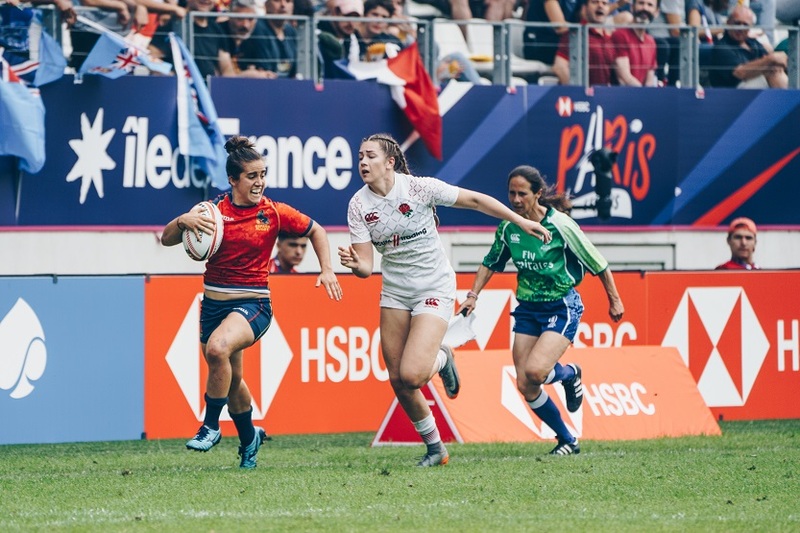 Home > Blog > Interview with Patricia García, one of the best rugby players in the world. 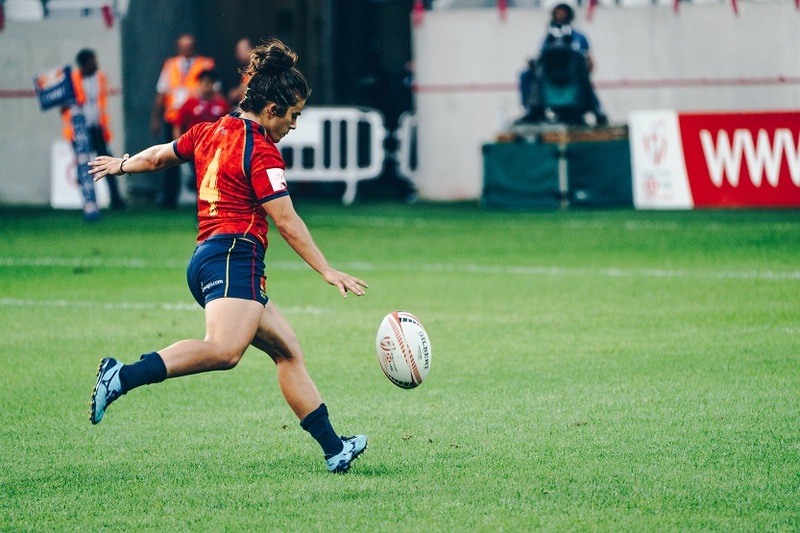 Interview with Patricia García, one of the best rugby players in the world. 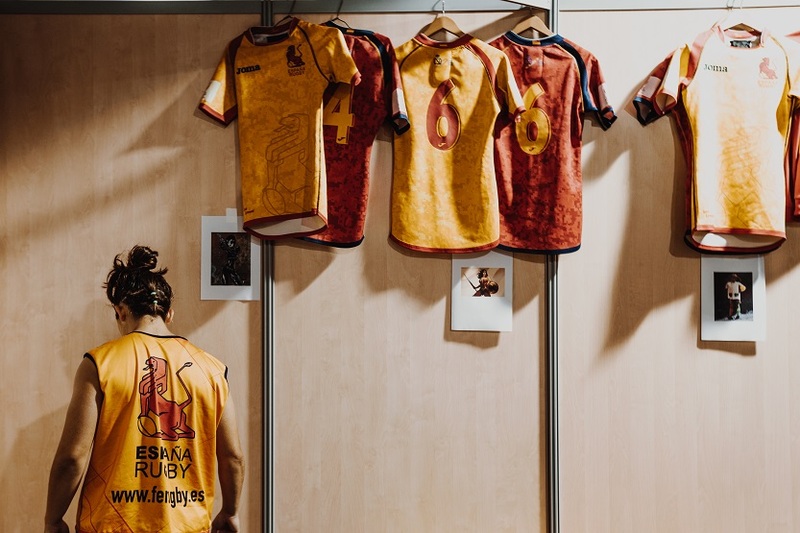 Patricia García Rodríguez is a female role model in women's rugby, either in Spain and in the whole world. An elite sportswoman, a good spokesperson, supporter and discloser of values through sports. She will captivate you with her energy and enthusiasm by reading the interview! You are Olympian, Rugby XV and Rugby Sevens European champion and the female role model in Spanish rugby. Hardly anything! How do you value your career? Absolutely. During the league’s break here, there started the highest level of territorial league competition before playing for the national team of New Zealand. I went on an adventure with two mates, Berta García and Irene Schiavon with the intention of training hard and learning. And, in the end, we could play few games. The following year I did it again. You have played in France, New Zealand and Japan. Which of all the international experience do you prefer? I can’t compare them, they have all contributed. To me France was an inflection point and a great personal experience because I was very young. In France, rugby is one of the biggest national sports. There I started to train mornings and afternoons and to realize how far I wanted to be. New Zealand is the rugby’s mecca and a dream for any player. There I lived the optimisation of performance, it is the highest-level league where I have ever played and the level of requirement and learning where huge. In Japan, rugby is still developing, and it is even less demanding that in Spain. Last year I had the opportunity to be the first Spanish player to go to Japan with a contract as a professional. I was attracted by their culture and to see how they are developing women’s sport as well as the opportunity to learn and to contribute with my experience. Contrary to what it seems, rugby is famous for its values. How would you explain to someone who thinks that it is a sport for brutish people, that rugby has great values? I would invite him/her to go in person to watch a rugby game. Seeing 30 or 40 thousand people being silent, respecting the concentration of a kicker, is something amazing. And when a referee sanctions a player no one reproaches his decision. Of course, we aren’t perfect, but in general it is this way. It is the first thing you are taught, and it is even more important than sport performance. You can be a good player, but if you don’t have those values…. bff… the way gets hard because the group is above everything. Even at the top? Even at the All Blacks where there might be more egos? 100%. I don’t know any All Blacks player with such an ego, and I know quite a few… To them, the t-shirt, the team, are more important than individuals. They understand that they are people who take part in a process, that today they wear that t-shirt but tomorrow will wear another one. An anecdote; I am a jury at the Princess of Asturias awards for Sport (Premio Princesa de Asturias de los Deportes), and when the All Blacks won it in 2017, a team representation came. We were with them for a week and we could witness how humble they are. They know that they are rugby stars, but they don’t have that ego. We, the lionesses, consider that we are part of a process and want to be a role model for girls and set the t-shirt high. And how do you feel when a girl tells you that she wants to be a lioness like you? It draws a smile on my face, and it makes me happy. Because you see that the effort is worth. I have been working for so many years in the sports field, but also in the communicating side of it. When I started, there were female role models in rugby, but one couldn’t see or follow them on media to learn from them. For this reason, I think that the creation of female role models in sport and the fact that they are visible, is important for today’s girls. It is worth. Personally, besides taking part in different projects, I write the column “Rugby Passion” at El Confidencial. And together with my team, we have created the mobile application PGR APP for anyone who wants to be aware of the Leonas and the different projects that I lead. From your international experience, would you say that there is a direct link between the values associated to the most popular sport in a country and how that society is? Does the society of New Zealand profess rugby’s values? 100% and it is noticeable. New Zealand is full of those values and I think it is really nice. 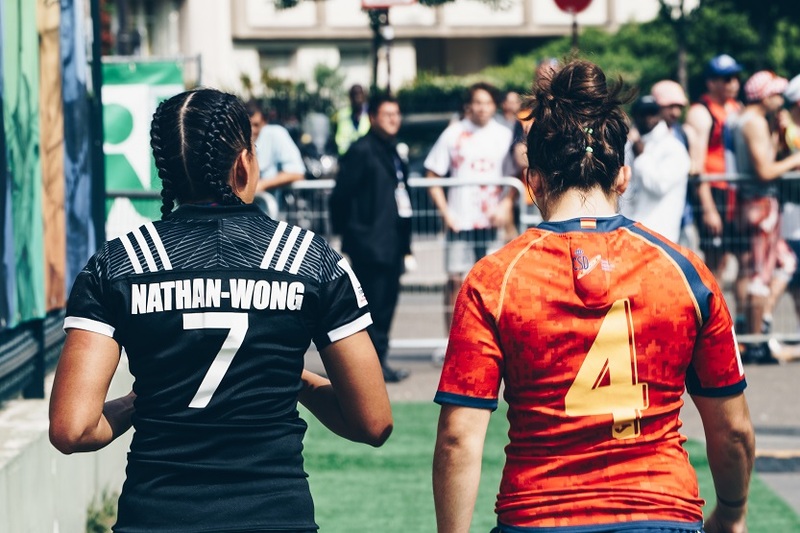 The society takes the All Blacks and the Black Ferns and what they transmit as a model. That doesn’t mean that everyone always has those values 100% present, but I have seen it and lived it. And that is the reason why New Zealand has connected so deeply with me. What do you think is the situation of rugby in Spain? And, in particular, female rugby? 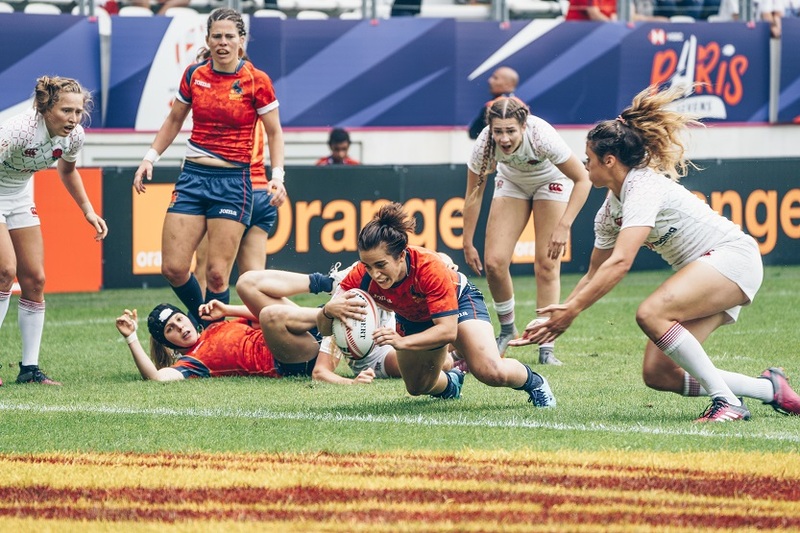 Since the classification of Spain for the Olympic Games, both female and male Rugby sevens, have experienced a huge increase in media attention and it is noticeable the interest and knowledge of this sport among people. There is still a long way to go, but I think that Spanish rugby is living a good moment. 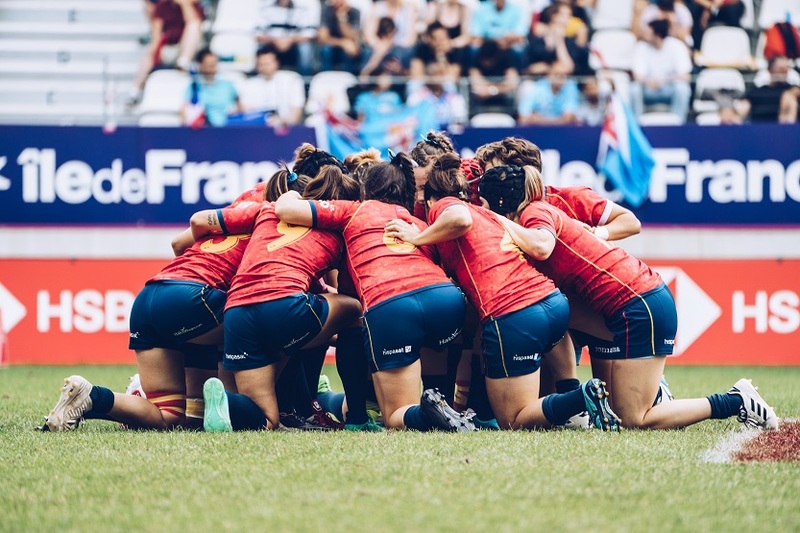 Female rugby has more in-person supporters, we are among the top 10 in the world and when it comes to media, we have the support of Iberdrola with its Universo Mujer program and we are broadcasted in the public television. In Rugby sevens, which is the Olympic discipline, we are in the classification process to Tokyo 2020. And hopefully we can do it again! It is noticeable the implication and personal effort in women’s rugby. What does rugby have that hooks you so much? Rugby connects a lot with my person and my essence. Besides, on a sports level, rugby gives a lot of opportunities, as it puts together people with different morphologies, capacities or skills. Everyone has a role and is equally important. We are all different and that, at a group level, I think is a plus, because you find a place where you can perform at a sports level and that, additionally, is like a family. The sense of belonging that is generated in rugby is very big. When, in addition, in that family you fight and give your all for a common goal such as a world championship or the Olympic games, one feels as being in a process and it becomes a life purpose. I think that, rugby puts you in the spotlight too. On the pitch one can see your weaknesses and strengths. And that, to people like me who have a strong spirit of achievement, hooks us. That combination of circumstances is what made me fall in love with rugby. Physically, mentally and emotionally you give it all. Besides practicing it, you are involved in spreading rugby’s values. Hence your Rugby Libre and Rugby Values Project. Rugby helped me grow as a person and as an athlete and is still helping me. And I see lots of examples of people to whom rugby has also helped a lot. For this reason, I decided to create these values-based education projects using rugby. One at a national level and the other at an international one, because it is not the same to speak to a group of children living in favelas, that doing so to a cybersecurity company in Madrid. Despite adapting to the context, the values we work with are the same; emotion management, social skills, communication skills, etc. At a national level, the project is called Rugby Values and has 4 versions depending on the target: companies, Schools, people at risk of social exclusion and sports clubs. At an international level, there is the Rugby Libre project, which is a cooperative one. We go on tour once a year, coinciding with my holidays, to take rugby to vulnerable groups. In 2016 we went to Chile and Rio. In 2017 we went to Morocco and this year we will go to Chile again and, maybe, we will also be able to go to Kenia. You might have heard a lot of personal growth stories on these tours…. Yes, a lot of them. In fact, and this is first news, we are filming a documentary series to show how rugby can improve or change positively people and societies. We have the first episode almost finished, and we hope that we will realise it in May in Madrid. Any experience of the projects that has specially touched your heart? There are some…. I will tell you about one that had an impact on us. 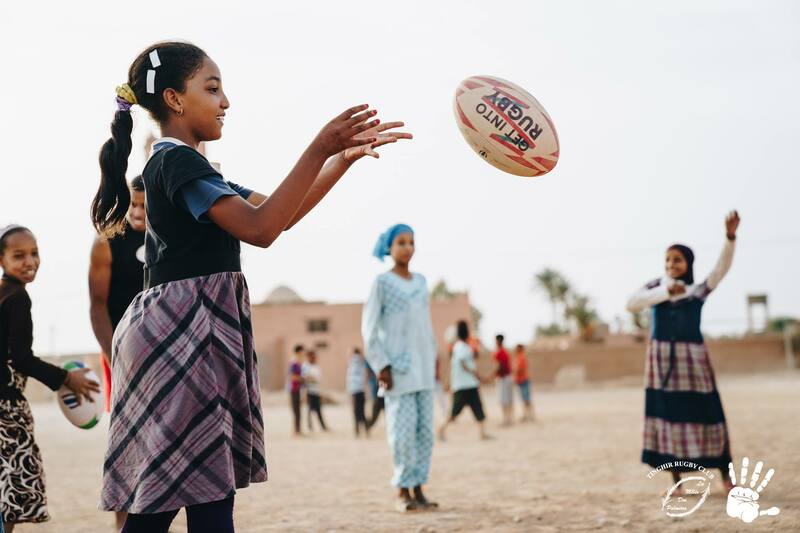 We were in a school in Arica, in the North of Chile, interviewing a 12-year-old girl, Micaela, about the benefits of rugby. She was constantly saying that rugby had helped her a lot, and that “it gave her the strength to keep going, that one can move forward”. Later she told us that she had an episode with her father, without giving more details, and that rugby helped her forget about it and move on. She didn’t want other children to go through the same. This is one of the stories, but there are more, from people involved in drugs, in prison…. Rugby helps them managing negative emotions…. Yes. To penitentiary interns, for instance, it helps them a lot because is a way to vent, to release physical and emotional energy in a controlled way. In the end it has been proved that when you practice sport you release endorphins that make you feel good. And a good thing about rugby is that, physical contact is not at any cost, there are rules that provides you a way to channel your energy in a healthy and secure environment. To express yourself physically and emotionally but respecting the rules and feeling that you are part of something. Last International Women’s Day Captain Marvel was released. It is Marvel Studio’s first female-led superhero film. For the Spanish promotion, they choose 5 women that have made history in the female sports world, among them, you. What does it mean to take part in that campaign? When they called me, I loved the idea a lot. We are working on gender equality in different areas, so congratulations to Marvel and Disney on joining the values-based education movement. And also, to La Liga that decided to count on female athletes for the campaign. Well, the matches need to be played…. Even though in Europe it is easier for us, because big great teams like France, England, Scotland, Ireland, Wales…are playing the Six Nations Championship and renounce taking part in the championship. It is a shame for us, because we would like to play against the best… But that is a private competition and we can’t participate. Last January we played against Scotland, which, apparently, was the most demanding match and we beat them in Madrid, so we will keep telling the Six Nations that we want to be part of the global elite and that we would love to participate in that tournament. How are you preparing for the Tokyo 2020 Olympic Games and the 2021 Rugby World Cup in New Zealand? We already have both goals in mind, and we are working on them in every match. Lionesses will put all the effort on the European pre-Olympics, which will be played this July in Russia to try to get the only direct position available. But it is very difficult because in Europe we have 5 of the best teams in the world series, something that does not happen in other continents. If not, we will fight for one of the places of the Worldwide pre-Olympics of next year, which is how we got a place for Río 2016. Ich habe die rechtlichen Bedingungen und die Datenschutzbestimmungen dieser Website gelesen und akzeptiere sie.